Being a Queen isn't ever an easy thing to do, especially if you have to deal with galactic war. 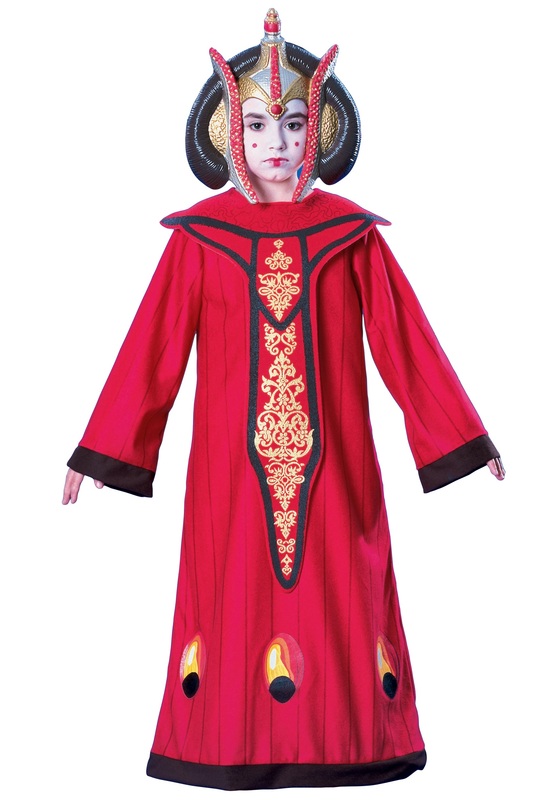 But if any one can keep their cool while making the right decisions it is Queen Amidala. She had to deal with her planet of Naboo being invaded by the Trade Federation's battle droids and also trying out run evil forces trying to hunt her and her Jedi friends down. But even with all that she came out victorious and helped save her planet by joining her people with the Gungans. Now your little Star Wars fan can feel like royalty in this official costume.